This weekend sees the launch of the 2014 FIA World Touring Car Championship season, with the biggest change in technical regulations introduced in the Championship’s ten year history, a new manufacturer entry with Citroën, and with that the added presence of nine-time World Rally champion Sébastien Loeb. The season kicks off at Marrakech with 20 cars set to be on the grid for the first race weekend, 16 built to the Championship’s latest evolution of the Super 2000 regulations, which will be called the TC1 class, and four competing in a class reserved for the previous generation of S2000 cars, now called TC2T. 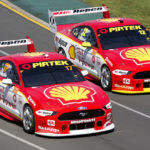 What’s different about the TC1 cars? The new cars, which are still Super 2000 cars, feature larger, more racy 18″ wheels, an increase in engine power output, and an enhanced aerodynamic package with more aggressive bodywork styling and a higher rear-wing. The cars are set to be on average about five seconds a lap faster than the previous generation of Super 2000 cars. In total, there will be six manufacturers competing in the Championship. As an FIA championship, all cars are homologated (either fully supported or at least approved) by the manufacturer. Three manufacturers in the TC1 class are full works entries – Honda, Lada and Citroën. The other, the RML-built Chevrolet Cruze, has the US manufacturer’s approval but no longer has the financial backing of the marque, now that they’re withdrawing from the European market. In TC2T, the two types of car present are the SEAT León WTCC and the BMW 320 TC. The BMW 320 TC is the 2011-spec upgrade of the BMW 320si, originally built for the 2006 championship and last won the title in 2007, the León WTCC likewise was developed for the first season of the WTCC in 2005, but features an engine upgrade package which was brought in 2012. 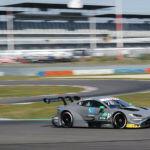 The cars are run on an independent basis with limited technical support from the manufacturer, with BMW having moved on to the DTM and SEAT’s principal focus this season its new León Eurocup series. The Citroën, Lada and Honda cars in TC1 however are full-blooded manufacturer entries. Citroën will enter the Championship for the first time with the C-Elysée WTCC, a model targeted for developing markets, Honda have built four of their Civics to the new regulations, two of which will be run by the JAS Motorsport factory team and two independently, while Russian manufacturer Lada will field three works cars, stepping up from two last season. Who’s going to be at the front? The expectations are very much that Citroën have the jump on the rest at this point, though the French manufacturer still maintain modest expectations and is only targeting race wins for 2014 and a title in 2015. However, while Honda and Lada were still busy racing their previous generation cars last season, Citroën were free to solely focus on the development and testing of the car for the 2014 season, and so it’s expected that Honda and Lada will be playing catch-up throughout the year, much as they were in 2013, albeit then against the already well-developed Chevrolet Cruze. The fly in the ointment may well be RML’s brand new Cruze. Although no manufacturer money is involved this time, the car will benefit from the British touring car powerhouse’s ten year’s of experience in the WTCC any many beyond in other series. 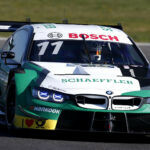 The car already has a strong engine, which was developed for the 2011 season and now tweaked to the new rules. 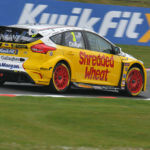 The only difference is that without a manufacturer programme, the car is solely run by privateer teams, but with some very handy independent drivers in the cars including former WTCC independents’ champion Tom Coronel, multiple Italian touring car champion and former Formula One driver Gianni Morbidelli, and BTCC independent title winner Tom Chilton. As a result, the Chevrolet Cruze could well get in the way of the official manufacturer teams on many occasions this season. What about TC2T? Five cars? Is that going to be worth it? At this point, the TC2T class is very much going to be a “this happened as well” considering all the excitement which will be happening up front in the TC1 class. The TC2T cars simply won’t have the pace to fight with the TC1 cars and will basically be in their own battle at the back. The reason they’re there is when the Championship had to make a decision as to whether to still allow these older cars to compete this season, there were only ten new cars confirmed with a minimum of 16 new cars the only acceptable target, so the older cars were allowed in from that point, though 16 TC1 cars was eventually achieved with the addition of the six Chevrolets. It was also hoped that there would be some enhancements made to at least close the gap in performance between TC2T and TC1, but with the manufacturers not on board, the cars are basically as they were. Similar two-class championships aren’t uncommon in touring cars. 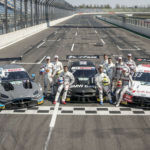 The ADAC Procar Series in Germany has had a two-tier structure for a number of years, the ETCC has been a three or four class championship since it began in 2005, and when the WTCC introduced the new turbo engine regulations in 2011, a second class (Jay-Ten Trophy) was opened up for older-spec cars, though arguably this wasn’t necessary that season with the unexpectedly successful take-up of the new engine regulations by BMW, Volvo and the SUNRED/SEAT team that year. The British Touring Car Championship basically did the same thing as the WTCC’s doing during their 2013 season, allowing the older S2000 cars one final fling in what was called the Jack Sears Trophy. This served to keep some independent teams in the Championship while the availability and cost of the new regulation cars came down, which is effectively what TC2T will do for the WTCC. It keeps the Engstler and Nika Racing teams around (Nika will miss the first round but will join later with a Honda Civic), until they can acquire new-regulation cars from 2015 when the Championship will undoubtedly be exclusively for TC1 cars. What about the drivers this season? There’s still an incredibly strong driver line-up, bolstered by a third manufacturer which always helps bring in more top level drivers, although as a result the Championship has lost a couple of its independent stars as well, such as James Nash, Pepe Oriola, Michel Nykjaer and Alex MacDowall, with the costs significantly increased with the new TC1 cars, plus an issue with availability of new cars at least for this season. 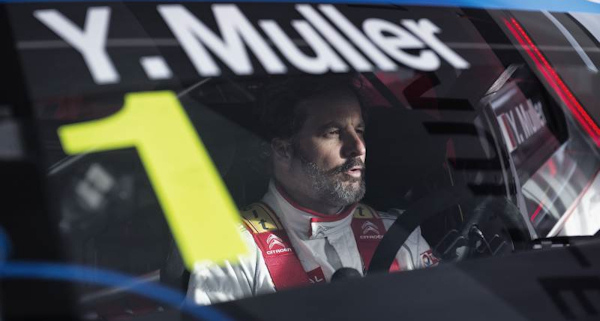 Citroën perhaps have the most interesting line-up, with one pair of very safe hands in four-time World champion Yvan Muller. The rest of their line-up maybe a calculated performance gamble, but suddenly a safe commercial bet. Sébastien Loeb is a big name draw and will be bring new interest to the Championship, the 40-year-old acknowledges he has a tough challenge ahead of him, competing next to Muller on his own turf, but many expect he will convert to touring cars more quickly and successfully than has often been achieved when drivers have moved the other way. There’s definitely no counting out José María López though. 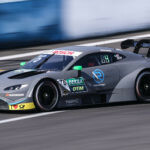 The Argentinian shocked with victory on his debut last season, he has a strong history in Europe in single-seater disciplines and has won touring car titles in his home country three times since his aborted attempt to join Formula One in 2009. Many suspect he will be the main guy to threaten Muller, at least from the outset, with reports that he was actually the fastest of all of the team’s drivers during some of their private tests last year. Honda haven’t changed their works team line-up at all, retaining 2009 champion Gabriele Tarquini and Portuguese driver Tiago Monteiro in their two cars. Norbert Michelisz will run in an independent car run by Zengõ Motorsport and is likely to be just as strong as the two works cars as he was least season, with Michelisz very much a giant killer who many believe should already be in a works drive by now. 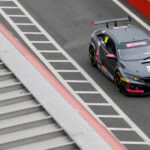 Honda add a fourth car, also run independently for this season, with the small Italian Proteam Racing squad running a car for Mehdi Bennani. The Moroccan had his strongest season to date last year in the ageing BMW, with a few race victory opportunities just escaping him, and has been aching to get his hands on some competitive machinery to prove his mettle. Lada are also back to the drawing board in terms of their car, building another new car, another version of the Granta Sport for the Championship. Instead of adding an independent car, the team have bolstered their driver line-up, adding 2012 champion Rob Huff, who will join two-time BTCC champion James Thompson at the team, and retain rising Russian star Mikhail Kozlovskiy. With a smaller 16 car TC1 grid, the opportunities for the team to take advantage of the reverse grid format and grab their first victory, which Rob Huff was able to do twice and take victory with the older SEAT León last season, are dramatically increased. Early expectations are the car will struggle to keep up with Citroën and Honda, being effectively the last car completed for the season and with minimal testing. All times are WEST. CET + 1 Hour, BST = WEST.